Giant Seal customizes your bike locks to meet your needs. Giant Seal Industrial Co., LTD., a Taiwan-based bike lock manufacturer that is expert in making high quality locks. For over 18 years, Giant Seal has made bike lock using strict standards. 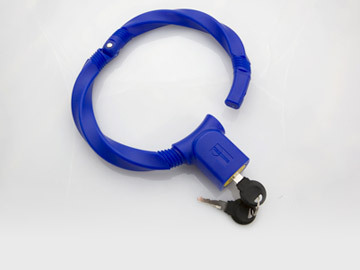 Today, Giant Seal offers stronger bike lock using their innovative solutions, which are in touch with modern lifestyles. Bike Lock manufactured by Giant Seal respond to the harsh environments in which bike lock must operate in order to safeguard your motorcycle. Giant Seal besides manufacture regular Bike Lock, they also customize bike lock for various kinds of motorcycles including Harley-Davidson (1200, 1500CC, etc). As a leading bike lock manufacturer from Taiwan - Giant Seal allows a quick & easy, no tool and no hassle installation. Giant Seal provides 100% Taiwan-made bike lock with great after service. Giant Seal acts as a supplier of high-quality bike lock. If you are looking for a supplier of highly-refined and advanced bike lock for the motorcycle security , look no further than Giant Seal. Why is Giant Seal's Bike Lock Competitive? Choice of lock material: Giant Seal's exclusive plastic material ensures unbeatable endurance of bike lock including u lock, pad lock, disk lock, etc. Schwinn Motor Scooters (USA) and more. Giant Seal sells their bike locks worldwide, including Japan, U.S., Brazil, Iran, Nigeria, Dominica, and Vietnam, etc.